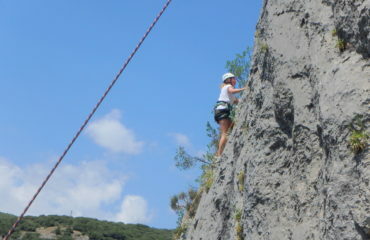 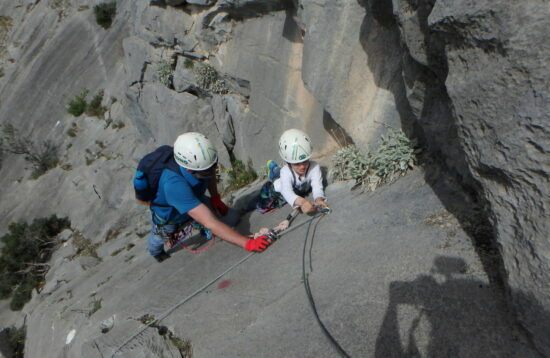 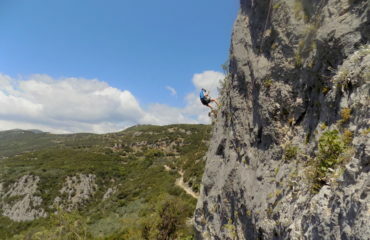 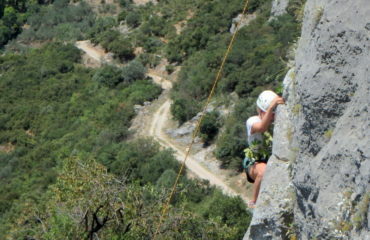 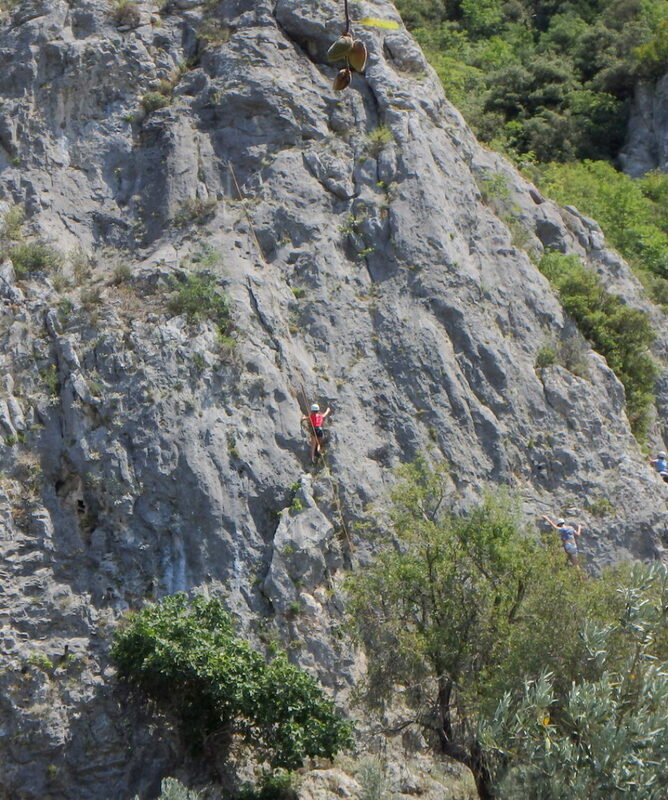 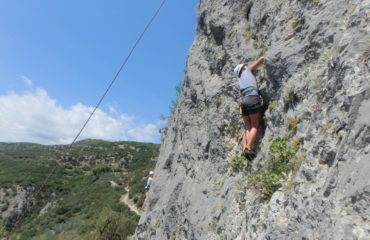 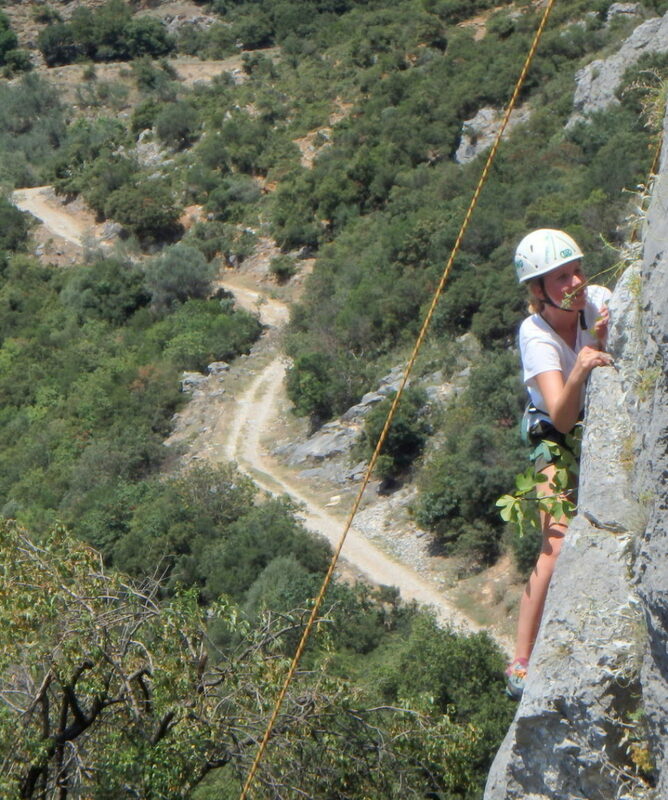 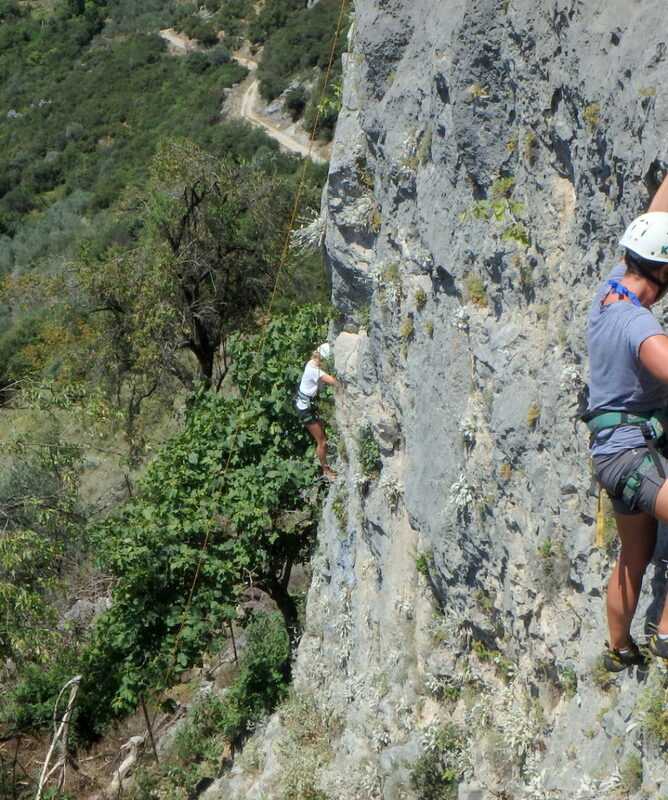 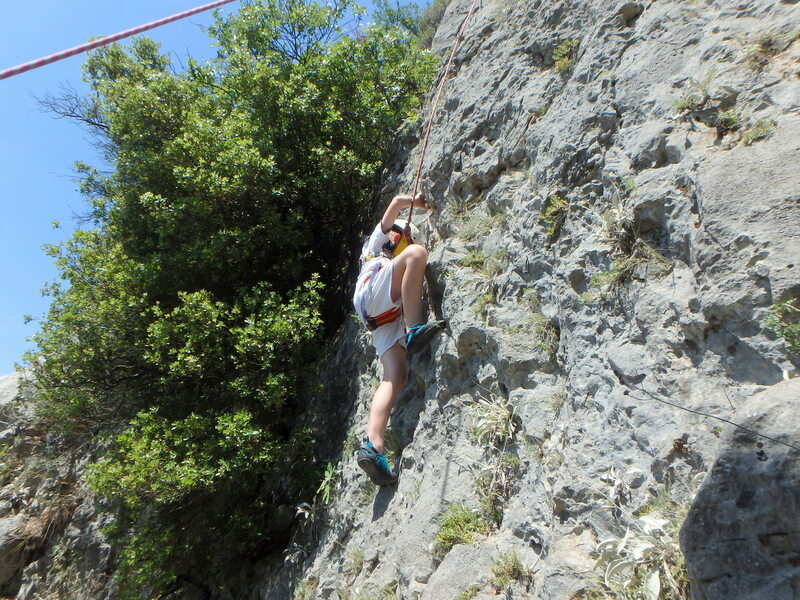 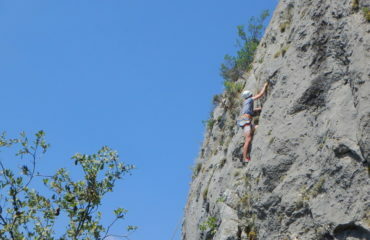 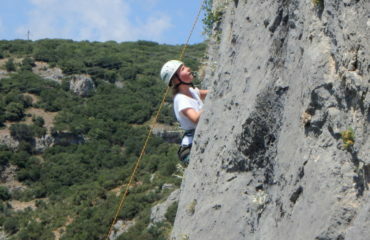 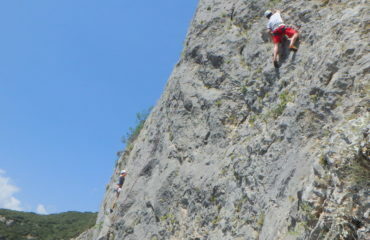 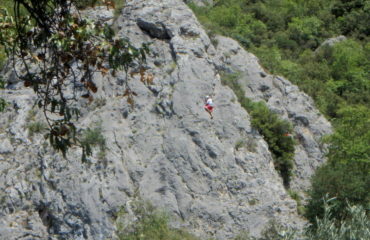 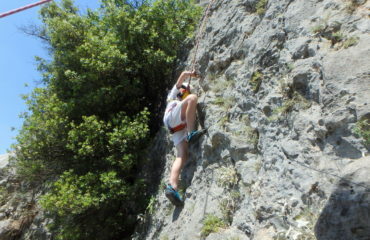 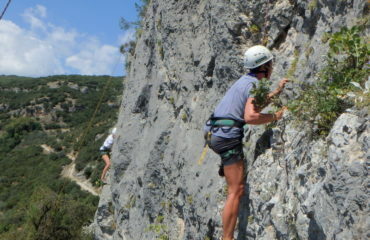 Rock climbing at Tempi valley site. 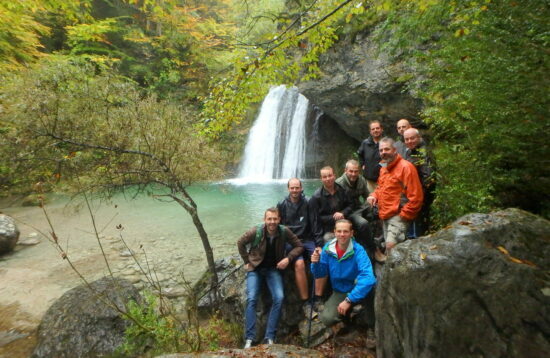 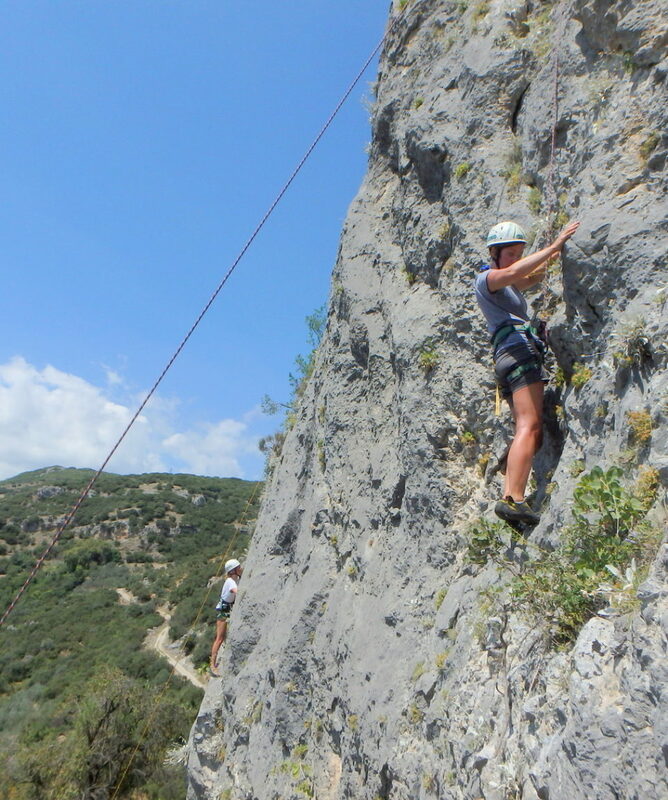 We meet at the west end of the Tempi valley or at the Rapsani railway station before transferred to the site. 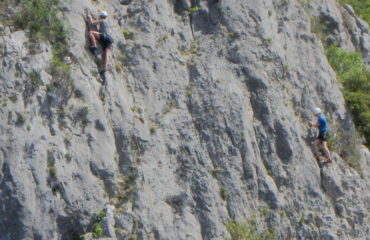 Here is an other well known rock climbing area. 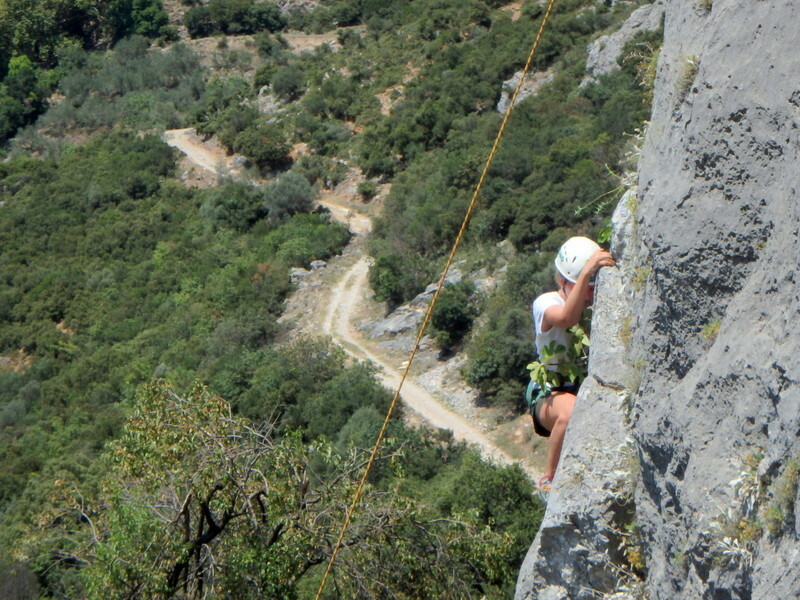 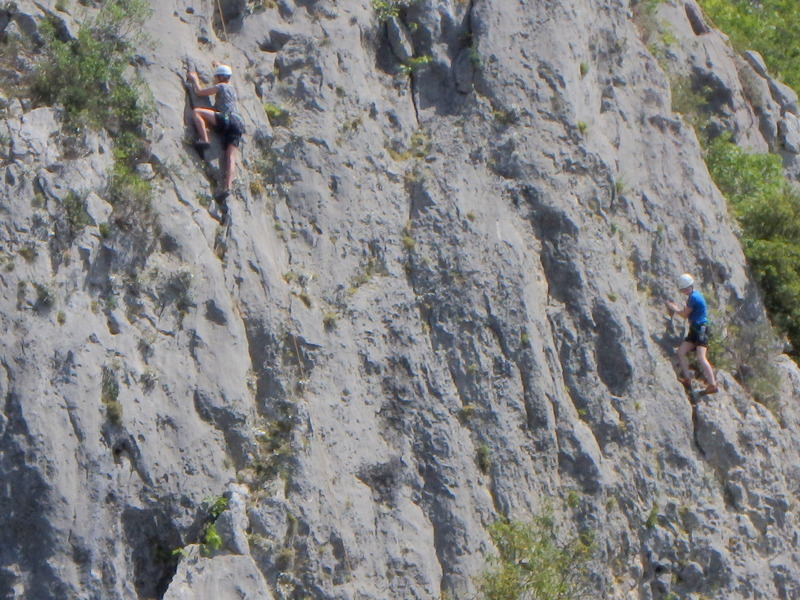 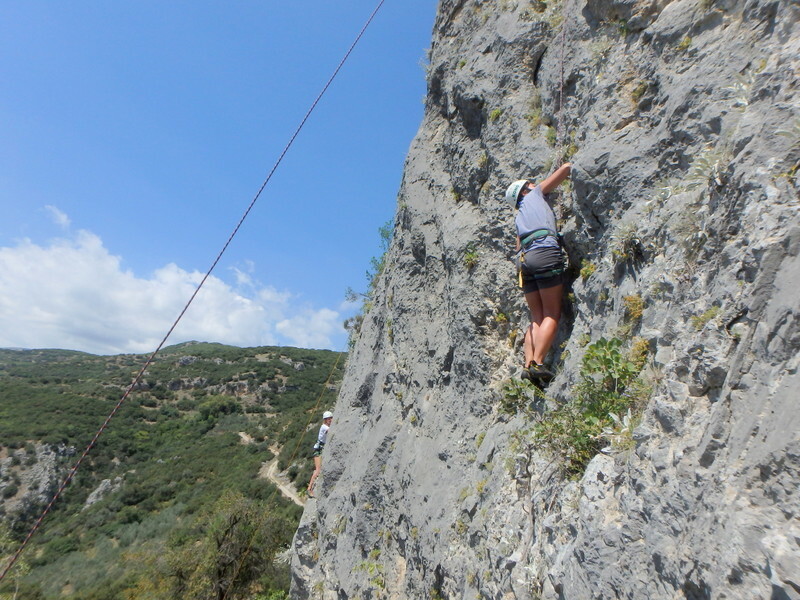 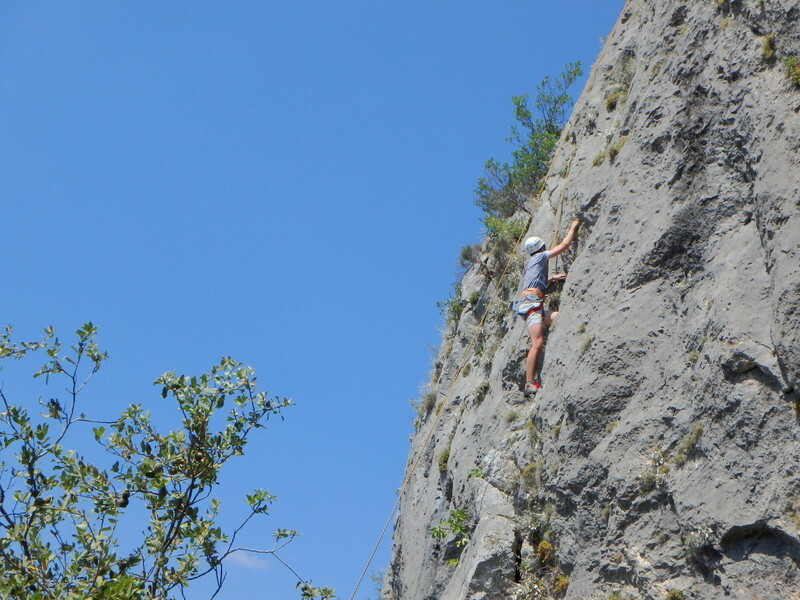 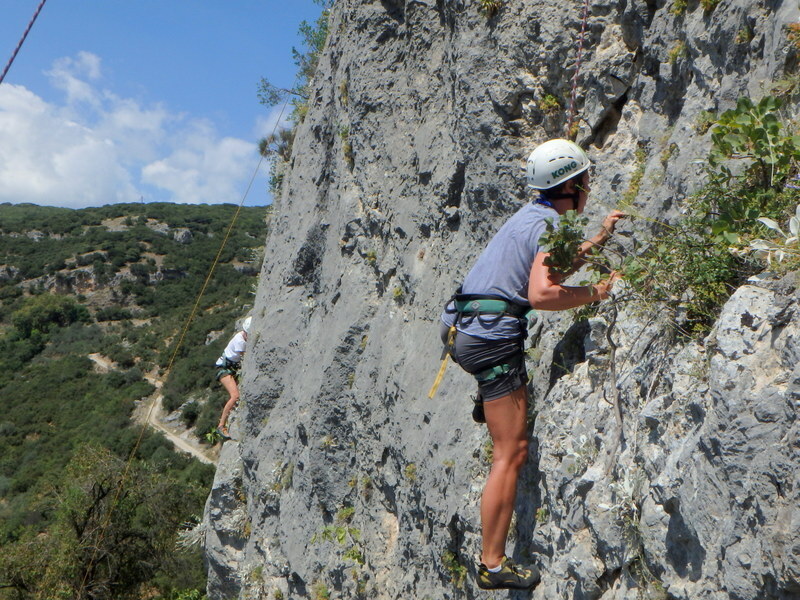 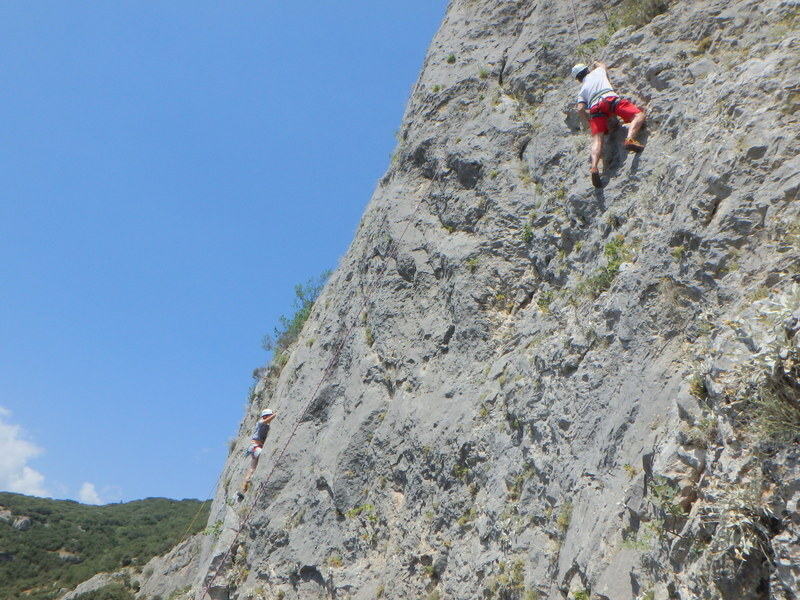 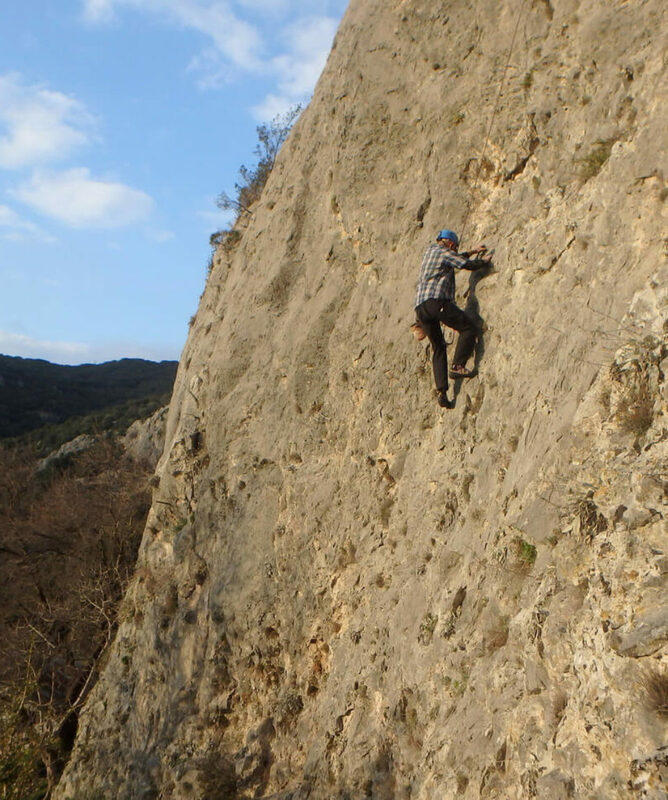 On the north rocky side of the Tempi valley and its lower rock faces along the river and just above it, there are more than 30 routes on very good limestone, ranging from traditional (up to 250m) to hard rock (up to 80m) and sport climbing (up to 25m). 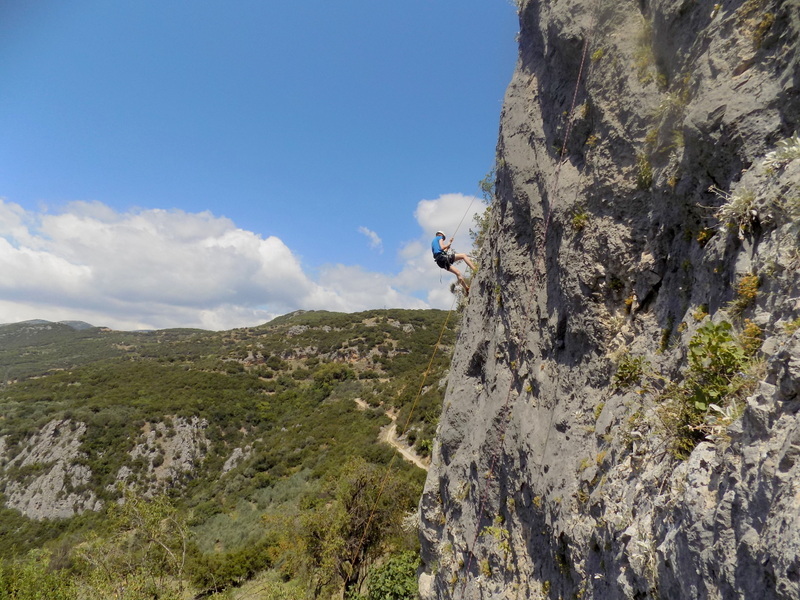 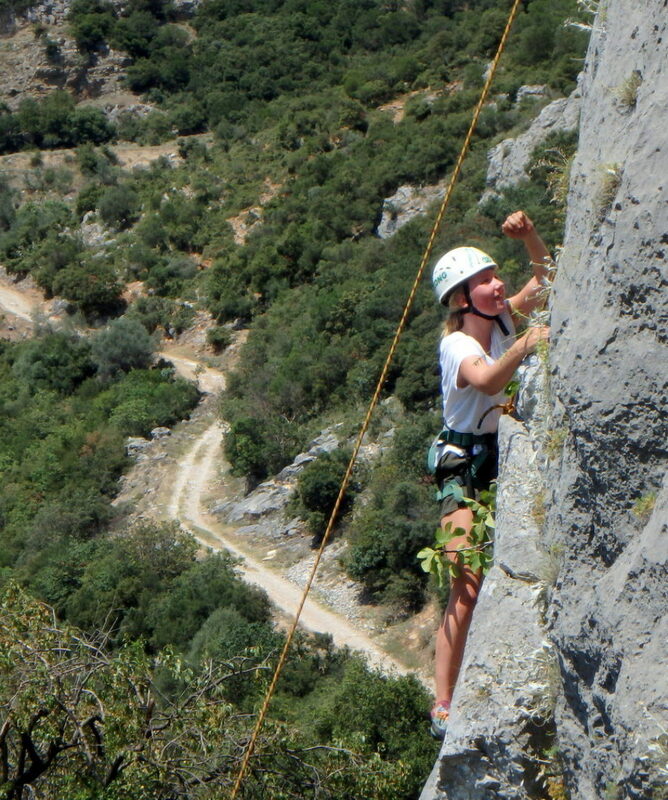 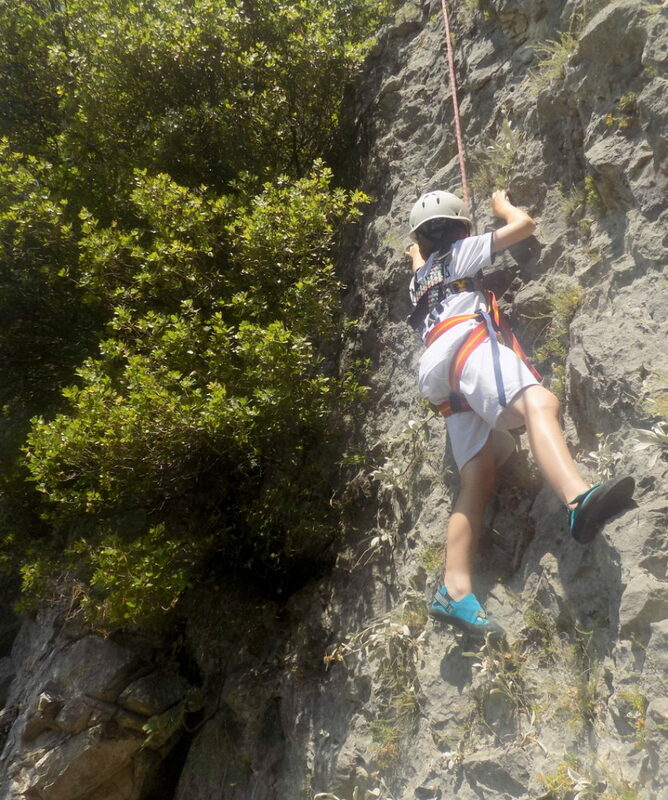 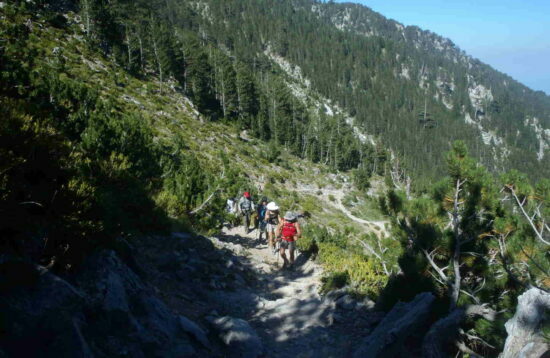 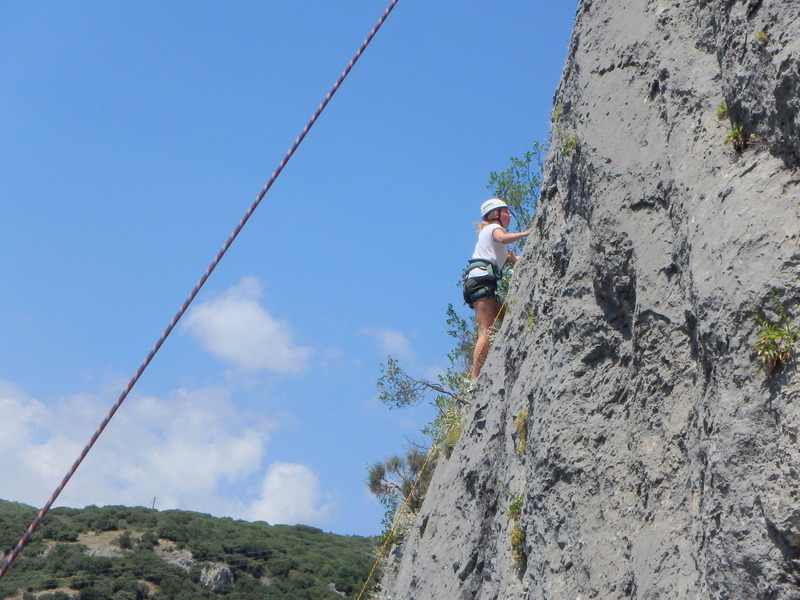 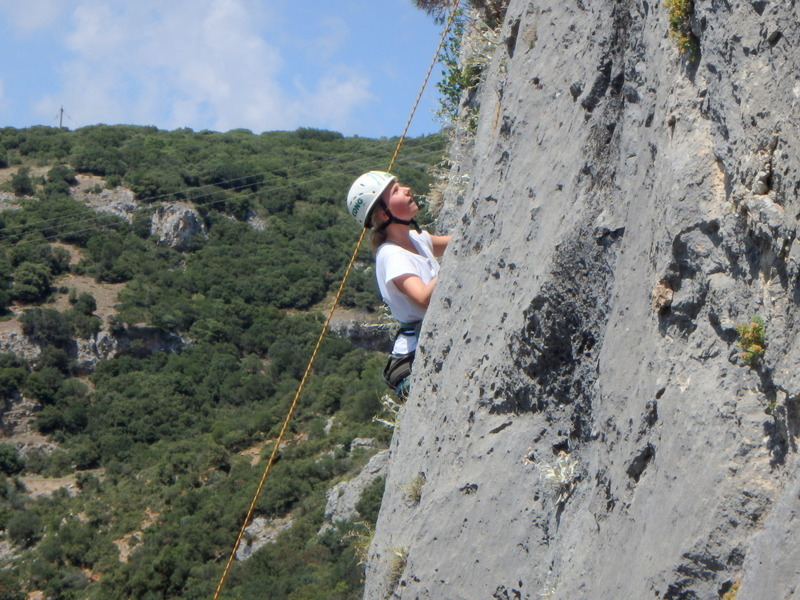 For the beginner: Here, on the upper parts of the north side of the valley, on an impressive limestone rock face, the Olympos Trek team have organized a top rope climbing playground for youths and adults, about 30m high. 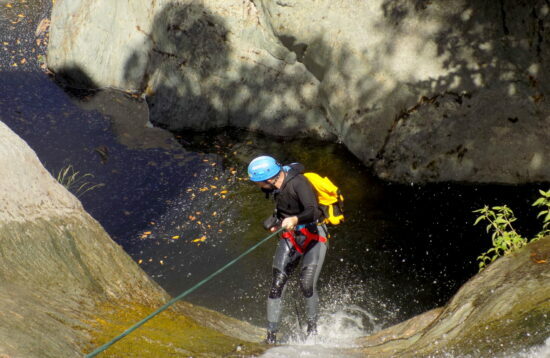 This is a unique spot with great views lower down towards the Pinios river and the western part of the Tempi valley. 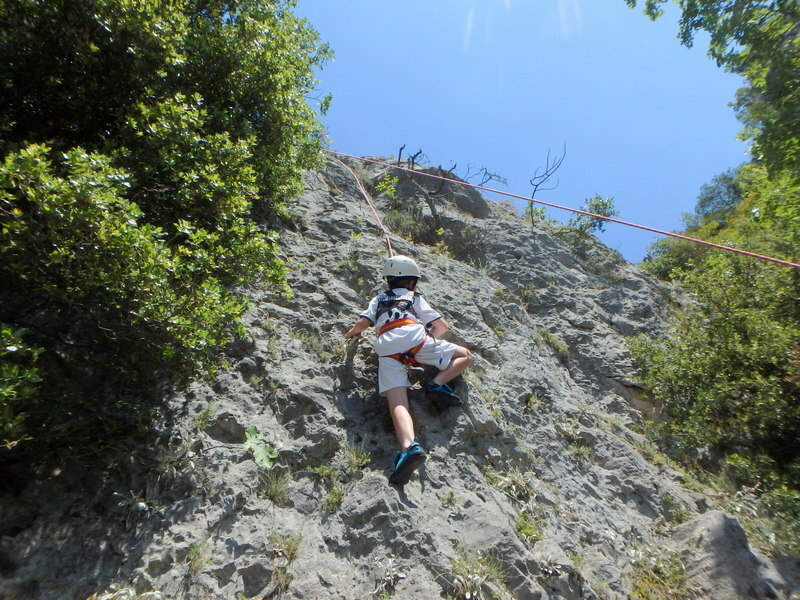 Rock climbing session 3.30″ to 4.30″ hours. 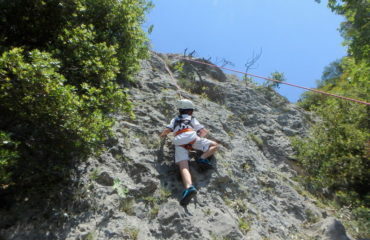 All about the Rock Climbing. 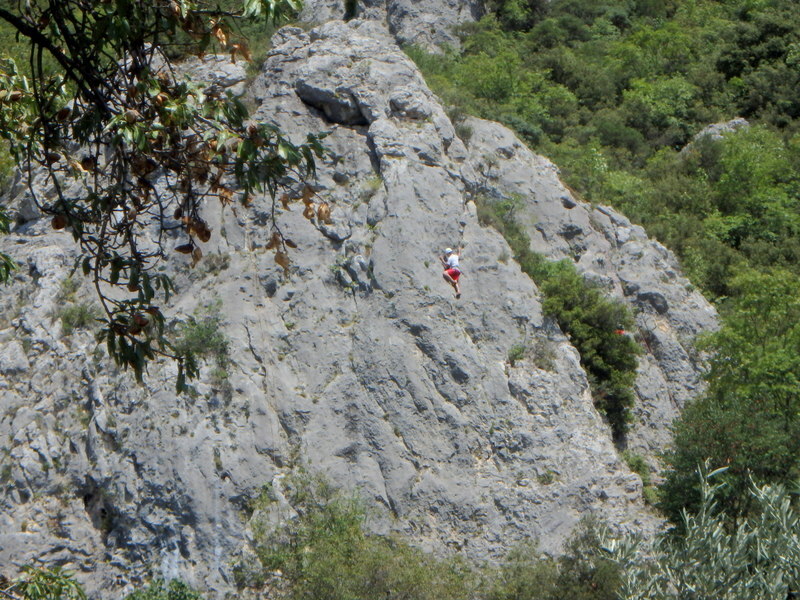 Tempi valley site..